You can track where the user is going on your website. How long do they stay on your website, and what is the bounce rate on your site. By using this information Thanks to Google Analytics, you can decrease the bounce rate and increase the depth of page views. Just by looking at the rush hours in the day for visits to your site, you can decide what is the best time for you to publish your content: posts, advertising or else. If the time zone that most of the customers use is not compatible with yours, then thanks to Google Analytics you may schedule your post to meet that hour. The traffic sources section of the analytics show you where did the user came from: Search Engines, Direct Links, Referral links from another site. It shows you what percentage of your visitors came from each one of these sources. Google analytics also gives you the details of each of these categories. If it is the search engine category, then it shows you which search engine got you the most traffic, Google, yahoo, bing etc. It will also show you the most used search terms by visitors, so you can improve your ranking for that keyword. The details of referral sites show you which sites you need to work with the most. If your top referral source is twitter, then you need to have exclusive twitter content to make your twitter audience feel special. If your top referral source is an external website, then you might want to consider having a partnership with that website like link exchanges or something else. 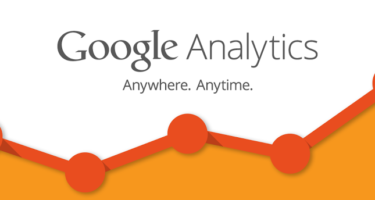 Google analytics show how your users interacted with your site’s content. It shows you what percent of the user clicked on which link on your site and much more. By seeing the user interactivity, you can work your content around your users. By seeing the answers to the questions above, you can focus on the strategies that work for your site and eliminate the strategies that don’t work.